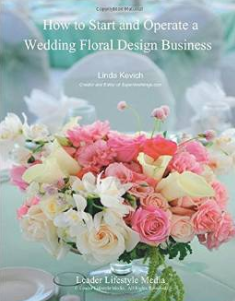 “My daughter and I both just finished reading the “How to Start Your Own Wedding Floral Business” manual. Lots of good ideas and suggestions. LOVED IT! !We cant wait to take your full wedding floral design certificate program when it is released. I have also completed your Certified Wedding Planner training program and I must say it is quite impressive. There are so many suggestions and creative ideas offered that I probably would not have thought of. It’s those little extra details that will set me apart and I appreciate the efforts that are inspired by the author of these courses. Thanks Institute of Weddings”! “Thank you for being so supportive and for helping me. I must tell you how much I enjoyed the floral business course and what a lot of information I gained from that. Thank you again”. “I have purchased your Floral Business course. Your course has been such a great help to me. Thank you for your assistance”. – Debbie M., Fargo, ND.